A pajama story time for preschoolers, their family and a favourite stuffy! 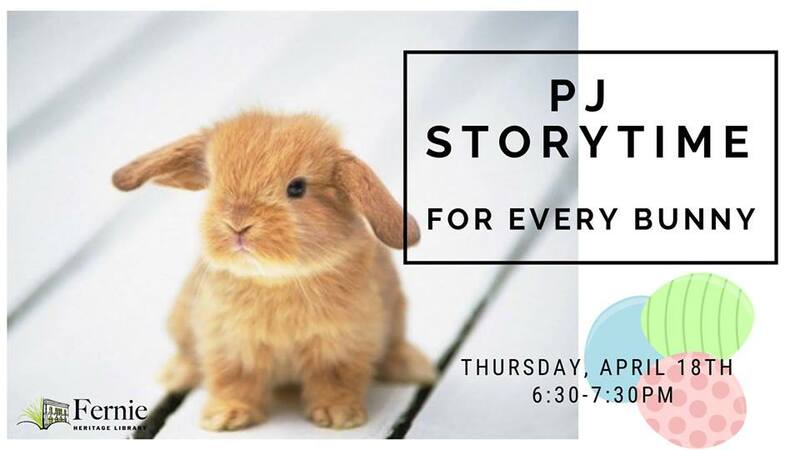 There will be songs, activities, stories, snacks and a little egg hunt for every bunny! For ages 3-5 and their caregivers and families. Wear your favourite PJs and join!